Five Things: Investigate Before Paying for Awards. I have a client who was contacted by a trade magazine about being named to an industrial top 20 list of promising companies like his. Sounds good, right? Everyone likes recognition, especially the positive kind and especially when it will be published in a widely read, respected trade journal. What’s not to like? The catch was that there was a $3,000.00 “sponsorship” charge associated with this award. When I heard that, my eyebrows went straight up and found myself instinctively clutching my wallet. But being fair minded investigated further, wanting to give everyone involved the benefit of the doubt. For the sake of protecting the innocent and not getting sued, I have changed all of the details about this story. Here are the things to investigate before paying for an award from a trade magazine or anyone else. Check the magazines’ circulation numbers. For this particular book, Vocus listed their circulation at 0. That does not necessarily mean that there are no readers; it means they did not report the number of readers to any audit company. Serious trade magazines have their readership numbers audited by an outside 3rd party, like BPA. That way they can justify their ad rates and communicate to advertisers that prospective customers see their ads. Be wary of any trade magazine that does not have an audit statement or lists of subscribers or readers. How often is the magazine published? 12 is the most often and sometimes there are 24 issues of most magazines. And they supplement with on line issues and podcasts, fine. In this case, the magazines’ web site said they publish “every other month” (which for trade publication is a red flag all by itself) but found other reviews that said they publish 12 issues a year and another that said they published 23. One review said they always publish an issue at the start of the month, but could not say when or if they published one at mid-month. Trade publications run by adults not only publish regularly but they also have an editorial calendar. If you the magazine approaching you does not have an editorial calendar and can’t keep up with the number they intend to publish, run away. The absence of a significant social media profile. Checking the twitter page for this magazine, I found there were 93 tweets and 613 followers. Another trade magazine that covered the same topic/industry had by contrast has 28,400 tweets and over 120,000 followers. The absence of a significant social media footprint is a bad sign. News sources (like trade magazines) publish news and use twitter to alert those interested about it because it is important or at least noteworthy. My own twitter account has more tweets than this. Beware. And look at the twitter accounts of others who were similarly approached about the same awards. How many other top 10/20/30 lists do they publish? For this particular trade book, I found 3 dozen top whatever lists. When you are 1 among several hundred others, it does not put you in unique company. Do your homework. For companies or individuals, it is very hard to hide on line. It is your responsibility to perform due diligence. Some of the clues about “offers” like this are not as obvious as others. No one did anything illegal as far as I can tell. But you have to feel that the overall dubiousness of the award and its price tag are worth noting. In this case, all the clues were not obvious and that is the real shame. It annoys me considerably to know that honest people are tricked into things like this simply because they do not know the right questions to ask. Now they do. So if someone wants to give you an award and presents you with an invoice, just politely say “no thanks” and move on to the next real opportunity. There are plenty of them and you have lots of interesting things to say. Start A Blog To Share Information Freely And Often. Start A Blog To Share Information Freely And Often. Like owning your own media outlet because you do. Why should you start a blog? Easy. The more information you can share about you, your company and what it can offer, the more you are seen as an expert. Expertise will command share of mind. And when your blog readers need some of what you have to offer, they will call you. A blog is a way to gain trust and trust is a sure pathway to more customers. In the not too distant past, blogs and bloggers were granted the same credibility as talk radio callers. No more. Blogs provide information and news to professionals, entrepreneurs, devotees and hobbyists of the even the most narrow interests. You can even get paid to write a blog! Did anyone ever get paid to call a talk show? Doubtful. Beyond mere opinion and blather, the blog is now an important communications tool. Blogs contribute to public relations, SEO and content marketing efforts. A blog is a way for individuals with expertise to communicate directly to others who are interested and can benefit from their knowledge. Reading a blog is free. There may be blogs that require a subscription, sure. But for me, the best bloggers are the ones who share information with their followers freely and often. The more expertise you can share freely the more credibility you will have. And there is the rub. Not everyone will share the view that information and know-how need to be shared at no cost. After all, what if the competition reads this? Our competitors will know what we know, won’t they? Relax. Your competitors already know what you know. They have and have always had a folder marked “competitive information” and no doubt you have one with the same exact title. You cannot deprive your competitors of knowledge about you, your business, products or services. They have a friend who works for your customer who gave them your letter, brochure, presentation, or offer letter. One of the office staff went to your web site and requested a sample, called your help line, and read every word of the FAQ. They went to your presentation at the tradeshow and sat at the table where all your employees were clustered and listened to every word. Keep a secret? Not likely. When you try and keep your secrets, the people you deprive of your knowledge are those who could potentially become customers. This will seem counterintuitive to some. After all, if we build a better mousetrap, the world will beat a path to our door, right? Maybe and I don’t know but probably not. I really dislike the “better mousetrap” analogy. If you build a better mousetrap and refuse to promote it, the only beings that learn about it are the mice that live(d) near where you live. Lacking promotion in the form of a blog about better ways to eliminate them, other luckier mice will continue to live free, tease cats, and snack on cheese. One might even develop super powers. When I started writing this blog and posting it in places where it would get noticed, I made a commitment. I decided to treat blogging like I would any commitment. I was going to devote time and effort to it. I was going to treat my blog like a job and was going to share everything I knew about promoting businesses, causes and candidates as often as I was able. The returns to me are remarkable. Every bit of effort contributed to this blog is returned 10 times over. So have no fear of blogging or giving freely. The returns are amazing. 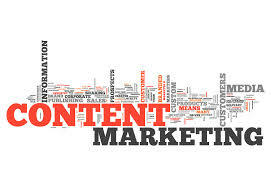 Blogs are the basis of many content marketing strategies. Seven Ways To Leverage News For Blogs. One of the reasons people feel intimidated by blogging is because they’re afraid of running out of new topics to write about. Even if you only planned to post once a week, you’d still have to come up with fifty-two ideas. Intimidating? Probably, at least it is for me. And do not think that you can take a bunch of news articles, plunk them on your site and call it a blog. But there is plenty you can do with that news to populate your blog. Yes, there is likely news about your area of interest that others will be interested in seeing. News is good. I’m not talking about scooping the wire services or breaking a story. More like taking news from the world of whatever you write about and injecting your insight. The first blog to register about an issue will get linked, bring traffic, and get you labeled a “thought leader” along with recognition for how good your site it. I wrote a post on my blog The Collectors Show (www.collectorsshow.net) about how a well known actor had lost a fortune collecting Beany Babies. There was an 8 minute video about him and I included a link to that in my post. My site traffic exploded one day and I could not figure out why. I found that my blog about Beanies had been posted on a Reddit site about Beanies and the world was making its way to my blog. Cool! Be original. Instead of reposting news, add your opinion about it. No one is interested in “reconstituted” news but will be interested in seeing what you think, questions you have and what the moral of the story is as told through your eyes. Don’t just copy. Similar to being original, but with a few more specifics. It makes me mad to see when someone lifts my copy, puts it on their site and calls it their own. You would be similarly annoyed. But, if you want to use someone else’s material, use quotes and attribution. Instead of ripping someone off and making them mad, they will feel flattered that you thought enough of them to use and cite them. Find a news story about your area and blog about it. Tell the readers why you chose this topic, why it is important, a point of view or opinion from you that others could potentially benefit from or even disagree with. Advancing discourse and exchanging ideas are a big reason to blog. If you do not know enough about something to have opinions that draw attention, you should reconsider the idea of blogging. Be timely. According to my hero, David Meerman Scott, reacting quickly to breaking news in your blog or twitter may earn you the rewards of “a bonanza of media attention” which will also make you more credible, attract more readers etc. Be a news junkie. Listen to news stations and channels, interviews, podcasts and NPR. Read a daily newspaper. And get into feeds. Lots and lots of feeds. RSS feeds enable you to scan headlines from sources you would likely not come across in the course of a regular day. “Dig” a little deeper. To find the hidden, unique, cool, hip and trending use social bookmark sites like Digg. Social bookmarking is a service which allows individuals to share sites that they’ve bookmarked. Similar to services like Google Alerts, the key here is the keyword list you generate, as the right list will generate the right kind of news and sites that people are tagging and bookmarking. While many social bookmarking sites double as “news” sites, given how they popularize and list the top sites that have been bookmarked, just like Technorati, you can search for keywords, and follow the result in your feed reader. Unlike Technorati, however, it tracks more than blogs. And unlike Google Alerts, however, it tracks more than just the news. People will bookmark anything. Pictures, video, articles, corporate websites, frequently asked questions, and much more besides. Using a social bookmarking tool to help you discover “stuff” really broadens your search, but you’ll also be able to find a great many hidden gems, particularly if use your keywords intelligently. Don’t give up. Some days after I have read and listened to a whole lot of stuff with nothing obvious for me to write about something will come to mind. I think that is the definition of creativity. Your brain is working on sifting, collating, editing and reformatting information even when you are not aware of it. Trust your brain. It knows more than it’s saying. At least at the moment. After all of this remember that the most important part of your blog is you.